1Heat oil with half the Nuttelex Buttery in a large frypan over medium heat adding mushrooms for a few minutes until wilted. Remove and set aside. Reduce the heat adding remaining Nuttelex to the pan with the chopped garlic and shallots. Cook, stirring for 2-3 minutes until soft, then add wine and cook until excess liquid is evaporated. Return mushrooms to the pan. 2Heat a griddle pan and brush the baguette bread on each side with olive oil, then toast on the chargrill for 2 minutes each side or until lightly charred. Rub one side with the cut side of the remaining garlic clove. 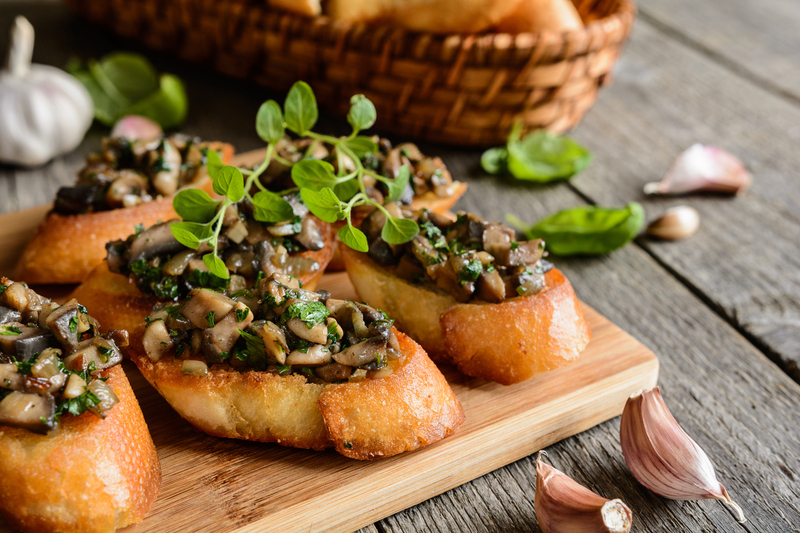 3Stir the parsley into the mushroom mixture and season, then pile onto the grilled bread and serve immediately.